The emergence of biosimilars could cut EU health spending by $11bn to $33bn by 2020, claims a new Thomson Reuters report. While the analysis reveals that the availability of biosimilars has not had a massive impact on some of the reference biologic brands so far - with most maintaining market share while biosimilars have taken business from alternative therapies - but has placed downward pressure on pricing. In the case of Amgen's once-daily white blood cell stimulator Neupogen (filgrastim), however, the drug has now been overtaken by its biosimilar rivals - led by Sandoz' Zarzio - and the EU market for these products is expected to decline from more than $6bn to around $4.6bn by 2019. The report also notes that a number of factors are holding back the development of the global market for biosimilars, not least the lack of products reaching the market in the US, which it attributes to later patent expiries for first-wave biologics in Europe. "Sandoz filed the first Biologic License Application (BLA) for a biosimilar with the FDA in July 2014," it notes. That application was for Zarxio, a biosimilar of Neupogen that lost US patent protection in 2013, five years after Europe. Similarly, Celltrion and Hospira have already secured approval of a biosimilar referencing Janssen Biotech's Remicade (infliximab) in the EU, but their product is having to challenge patents on the Janssen drug which do not expire until 2018 in the US. The report says "by 2018, $31bn-worth of biologic sales are expected to come from off-patent drugs in the US and $43bn from off-patent biologics in the rest of the world". By the end of the decade, patents will have expired for originator biologics accounting for about $100bn in global sales, it adds, citing figures from biosimilar developer Sandoz. The reality is that biosimilar sales will lag behind the market size, however, in part because the discounts for biosimilars compared to their branded counterparts are less than for small-molecule generics - typically 20-30% - which reduces the incentive for wholesale adoption in the market. 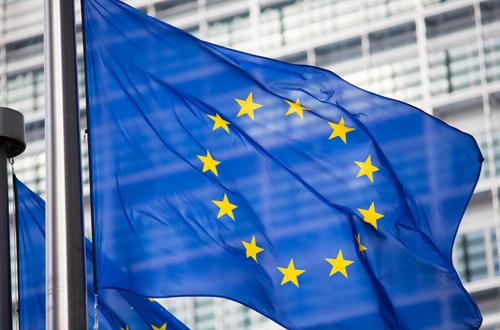 Thomson Reuters predicts however that the slow market uptake of biosimilars in the EU may not also hold true for the US. "Unlike most of the EU, the US will allow interchangeability, which is expected to speed adoption and lead to lower prices," it notes. The World Health Organization's recently proposed voluntary, global naming scheme could also level the playing field for biosimilars and their reference biologics, says the report. Biosimilars are expected to account for approximately one quarter of the $100bn market by the end of the decade. There are currently 700 follow-on biologics therapies moving through pipelines and 245 biopharma companies and institutes developing or already marketing these products in markets throughout the world. Jon Brett-Harris, managing director of Thomson Reuters Life Sciences, said: "Rather than forgo the benefits of biologics, governments and payers are counting on biosimilars to dramatically change drug development and patient costs by reducing the price tag of important biologics and increasing access to life-saving drugs." "For this to happen, biosimilars must deliver the power of the reference drugs at a price developing countries can afford and gain the confidence of the marketplace,” he added.